Many of the men on this page are working actors and models so they aren't very tall by my standards. People taller than 6'3" just don't get cast. You would have to put the love interest on a box to get them to be the same height for close ups. That's why you see the "short stop" warning below. 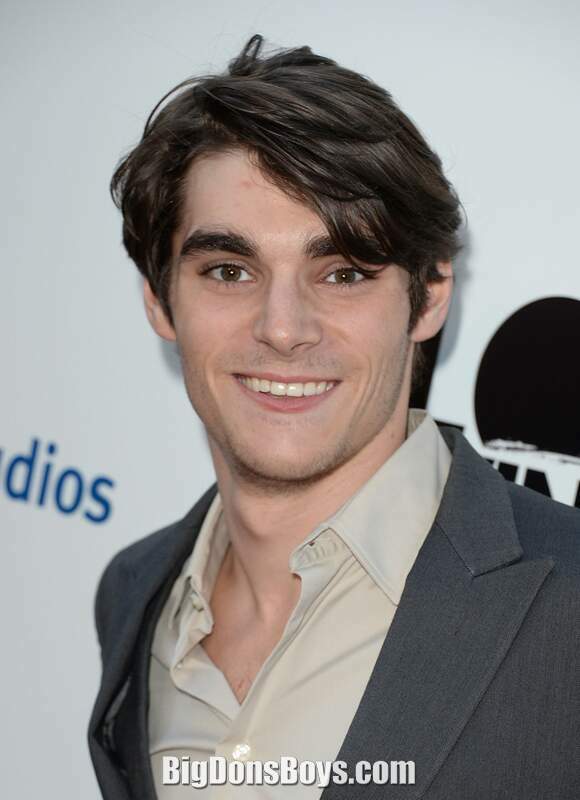 6'1" RJ Mitte is a very unusual actor because he is mildly developmentally disabled. 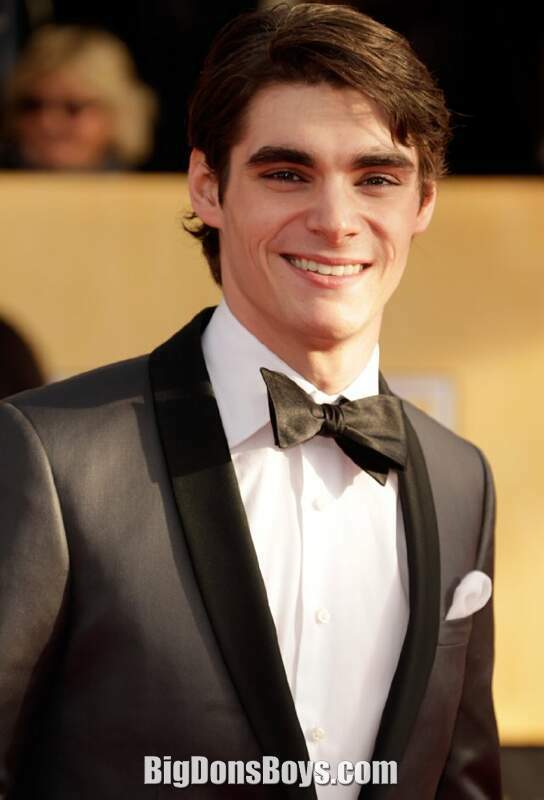 Roy Frank "RJ" Mitte III (born 1992) is an American actor, best known for his role as Walter "Flynn" White Jr. on the AMC series Breaking Bad. Like his character on Breaking Bad, Mitte has mild cerebral palsy. 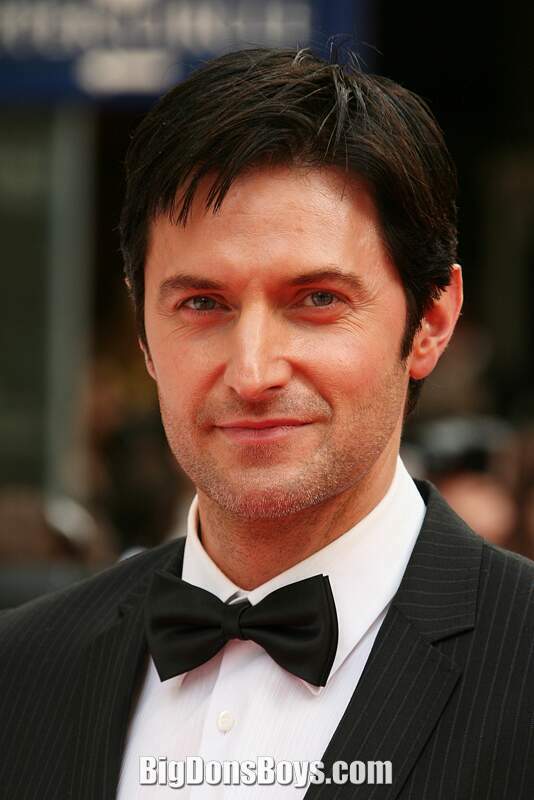 After moving to Hollywood in 2006, he began training with personal talent manager Addison Witt. 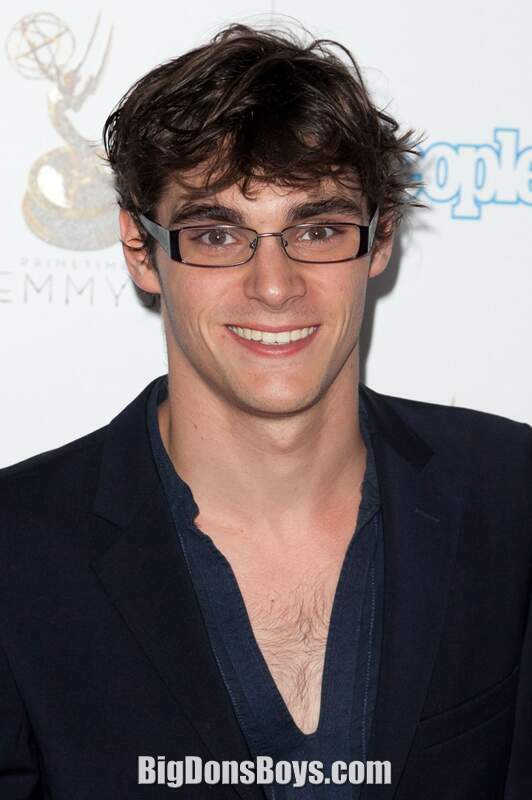 Mitte and Witt sought out acting opportunities where his disability would serve to educate viewers, which led him to audition for the role in Breaking Bad. After receiving several roles as extras, including in the Disney series Hannah Montana, Mitte became interested in films and decided to take acting lessons. 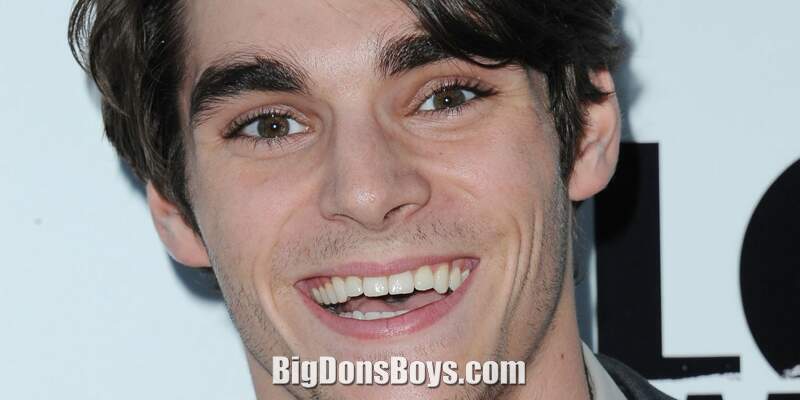 Shortly after, he was offered the role of Walter White Jr., who also has cerebral palsy, in the AMC series Breaking Bad. The Screen Actors Guild named Mitte as the spokesman for actors with disabilities. He is the representative of "Inclusion in the Arts and Media of Performers with Disabilities", which employs artists with disabilities. Mitte will star in the film Wildflowers. His sister, 9-year-old Lacianne Carriere, will also be in the film. 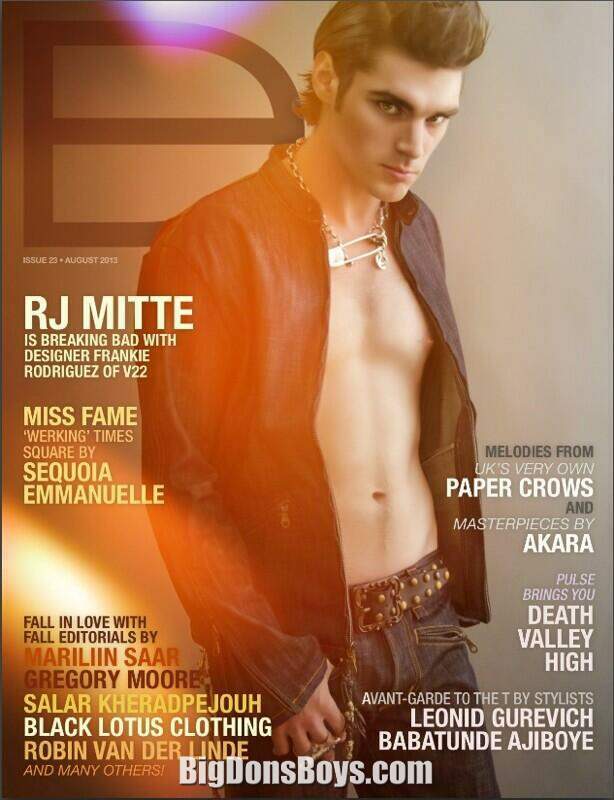 Mitte is one of the producers on the project. He is also working as a producer on a documentary called The Kids of Widney High. He hopes to branch out into directing. In 20 he starred in the short horror film Stump. That same year, he worked as executive producer of the documentary Vanished: The Tara Calico Story, that deals with the disappearance of Tara Calico. 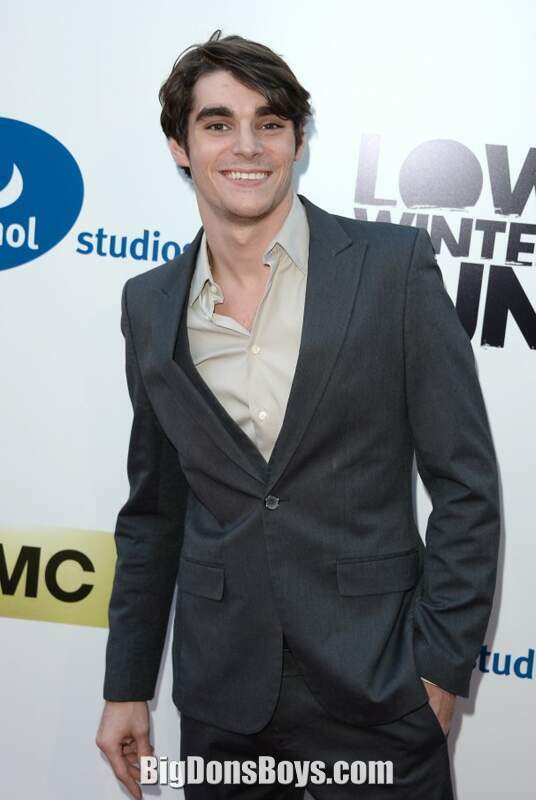 in 2012 Mitte was cast in the thriller film House of Last Things. in 2013 Mitte played Child in the music video "Dead Bite" from rapcore band Hollywood Undead. 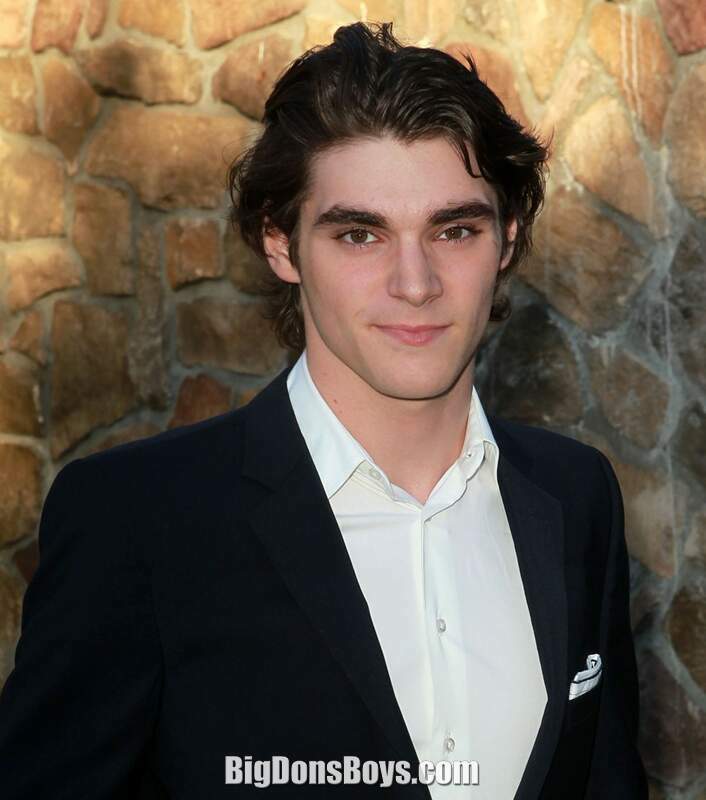 On October 3, 203, it was announced that Mitte will star as Campbell on the third season of the ABC Family drama Switched at Birth. 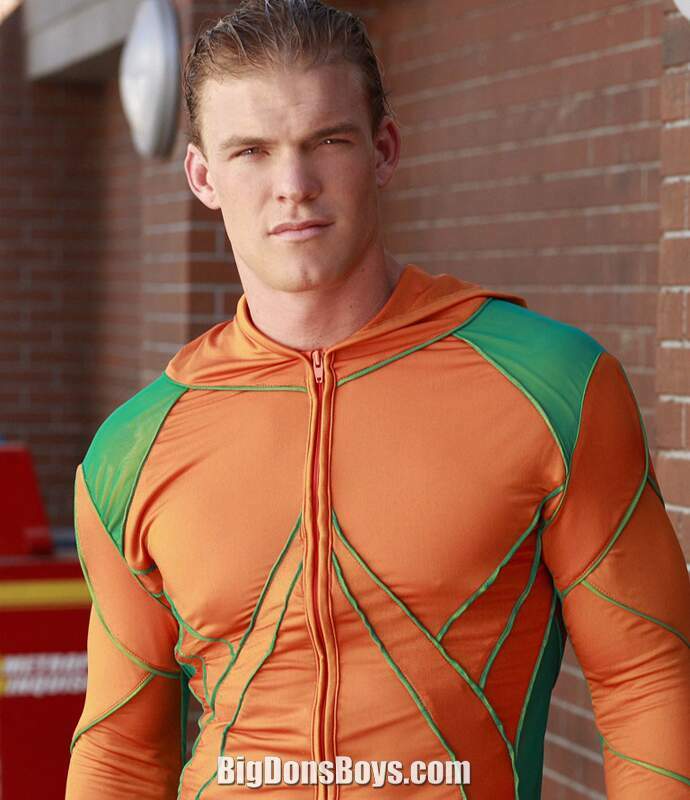 Continued from the previous gallery, 6'2" (1.87m) Alan Ritchson (born 1984) is an American actor, singer, and fashion model. He is best known for his modeling career as well as his portrayals of the superhero Aquaman on The CW's Smallville and Thad Castle on Spike TV's Blue Mountain State. His television acting credits include a recurring guest star role on the TV series Smallville as Arthur Curry, a.k.a. Aquaman, a small role as an army officer in the 2006 Hallmark Channel movie Though None Go with Me alongside Cheryl Ladd, and the role of Lucian Manet in the 2009 Lifetime Original Movie, Nora Roberts' Midnight Bayou. His role in Smallville marked the first time that an actor portrayed Aquaman in an officially licensed live-action production. His Smallville co-star, Justin Hartley, has since portrayed Aquaman in an unaired pilot. Ritchson reprised his role as Aquaman for a cameo appearance in the animated film: Justice League: The New Frontier, and the final season of Smallville. 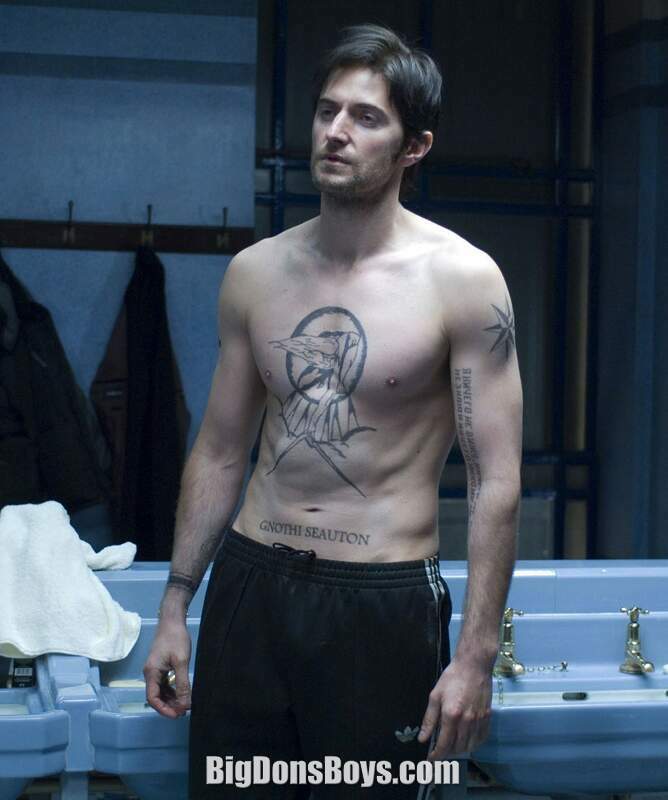 In 2009, he appeared on a third season episode of Starz's Head Case in which he played a male stripper. Ritchson also made an appearance on CSI: Miami, in which he played a dead victim in episode 9 of Season 8. He also appeared in Season 3 of 9020 as a love interest for a main character Teddy. He played Thad Castle in Spike TV's Blue Mountain State as a senior captain on a college football team, until the show was cancelled in February 202, after its third season. Movie credits include a role in the 2006 movie The Butcher, as well as in 2008's Spring Break '83 and a minor role in 2009's Fired Up! In 2007, director Robert Zemeckis used Ritchson for his facial image, physique and movement for actor Ray Winstone of the title character of Beowulf. 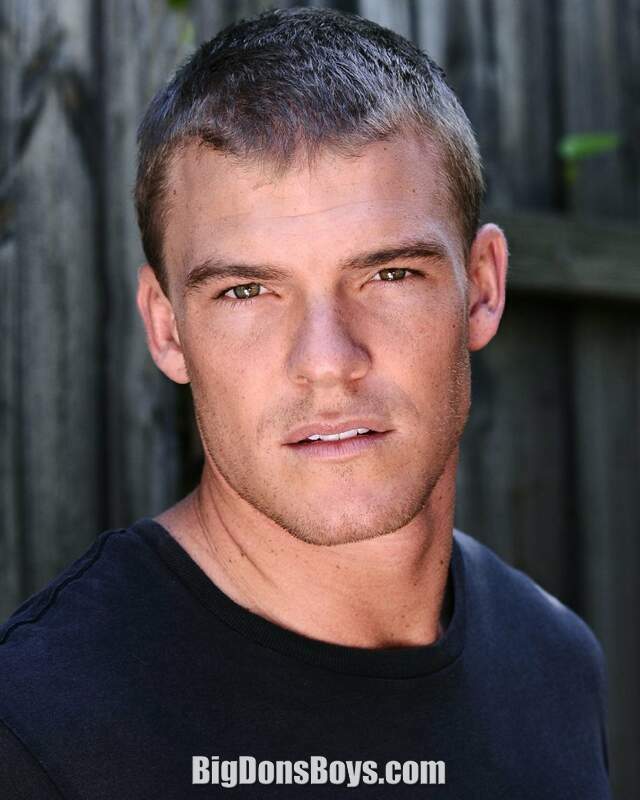 Ritchson portrayed Gloss, a tribute in the 75th Hunger Games, in The Hunger Games: Catching Fire (2013). 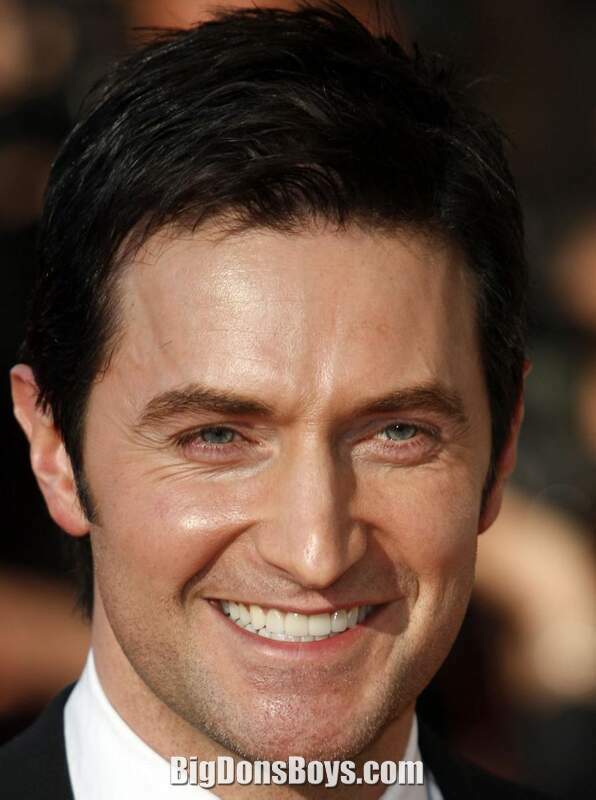 6'2" Richard Armitage (born 1971) is an English actor known for his roles as John Thornton on the British television programme North & South, Guy of Gisborne in the TV drama Robin Hood, Lucas North in the TV drama Spooks and as Thorin Oakenshield in the feature film trilogy adaptation of The Hobbit. 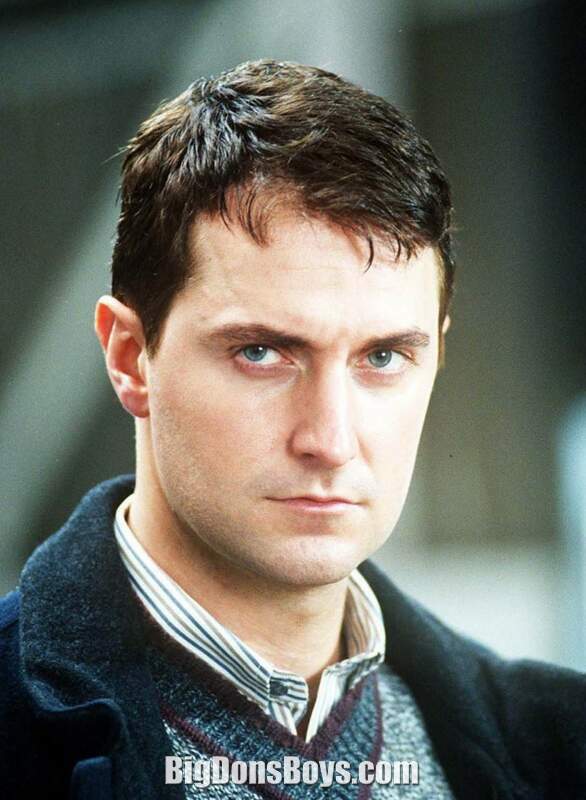 Armitage appeared as Nazi spy Heinz Kruger in the film Captain America: The First Avenger, released in July 20. 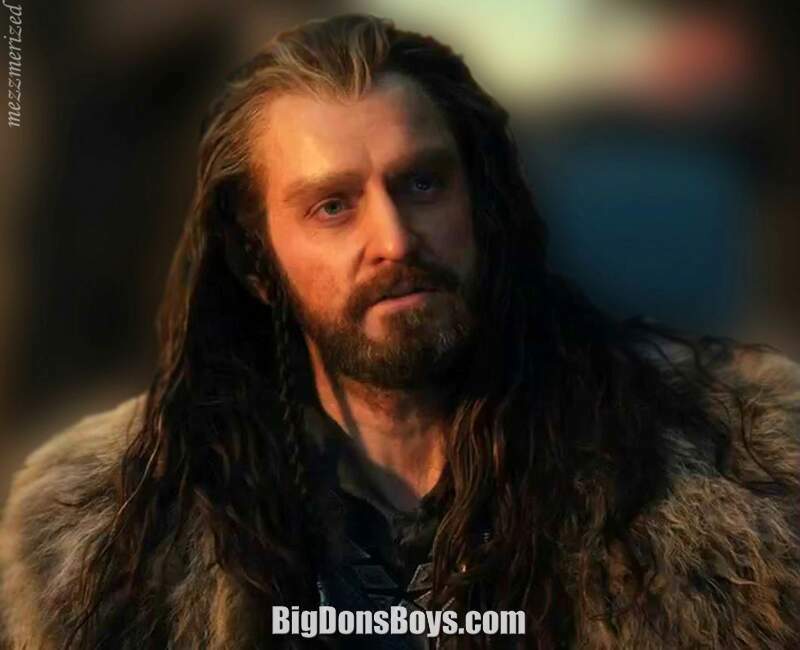 In October 2010, Peter Jackson announced Armitage was cast as Thorin Oakenshield in the three-film production of The Hobbit. Principal photography began in May 2010. 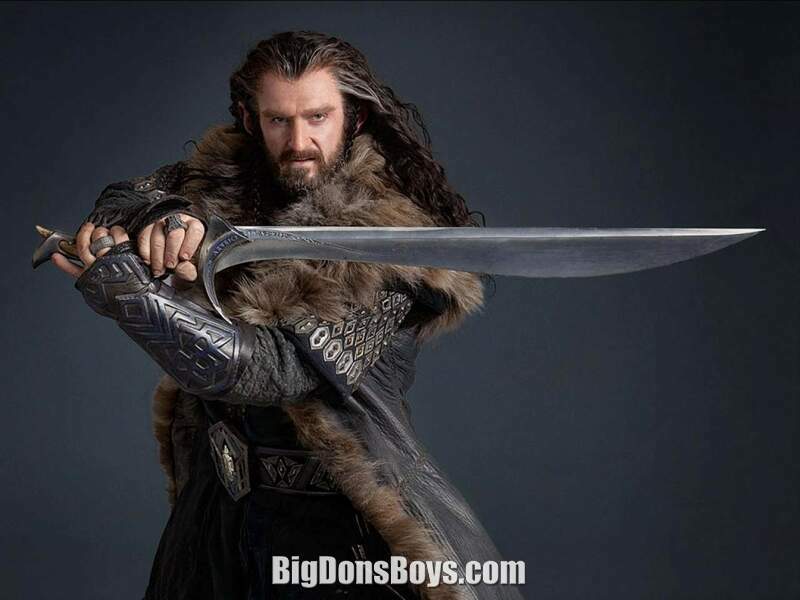 The first film, The Hobbit: An Unexpected Journey, was released in December 2012. 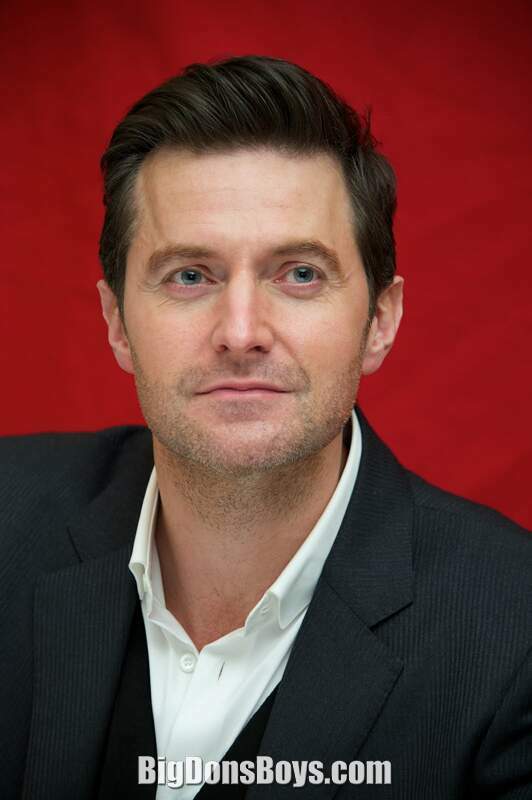 Armitage thought it was a wonderful opportunity, as he grew up reading the books. Coincidentally, his first stage part was playing an elf in a production of The Hobbit at the Alex Theatre in Birmingham. 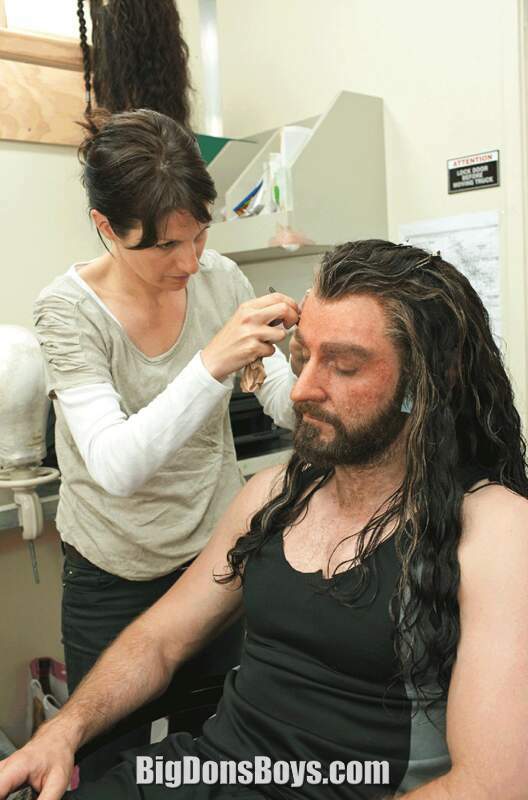 He describes the character of Thorin as being complex and flawed, "somebody that had doubts and that had fears, and there was a gentle side to him and a very perhaps lonely side to him." He notes the scene with Balin in Bag End shows the character's inner sensitivity and fear of failure, "failing where his father and his grandfather had failed as well." 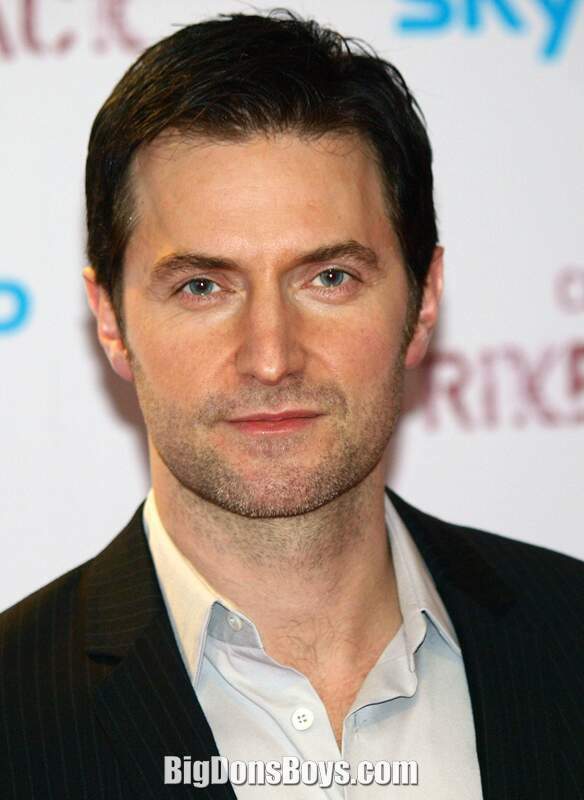 Armitage was cast in Black Sky from New Line in 2012. Shooting took place in July to September 2012. A release date has not yet been set. 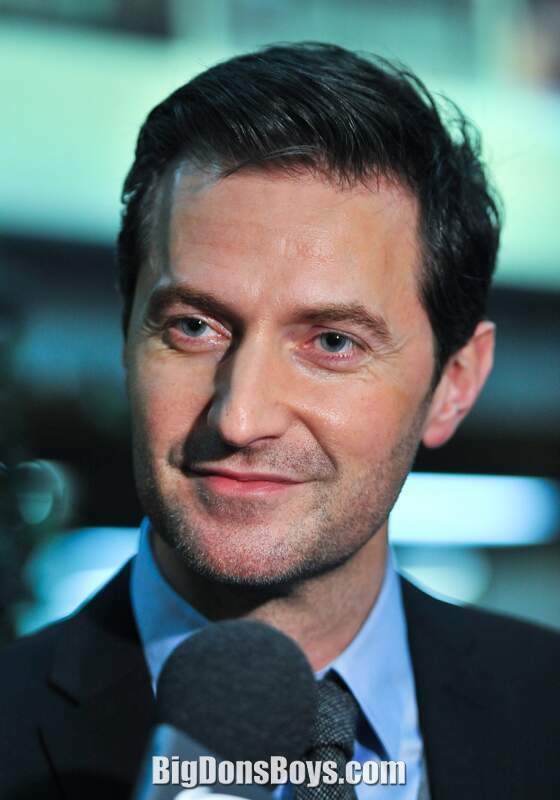 In recent years, Armitage has also performed a great deal of voice work, such as reading poetry for various radio programmes and starring as Robert Lovelace in BBC Radio 4's production of Clarissa: A History of a Young Lady in April 200. 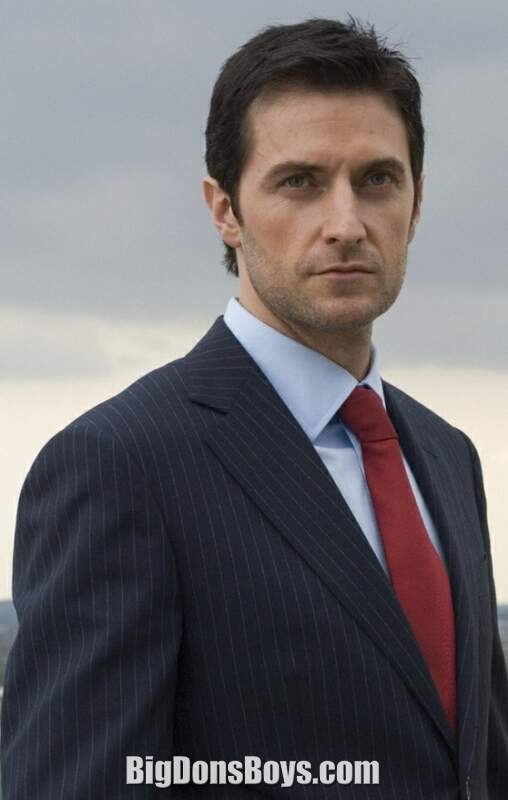 He has recorded ten audio books, six based on BBC's "Robin Hood", plus Bernard Cornwell's The Lords of the North and three Georgette Heyer novels for Naxos AudioBooks (Sylvester, or the Wicked Uncle, Venetia, and The Convenient Marriage). He has narrated television documentaries such as "Homes From Hell", "Empire's Children", "Too Poor for Posh School? ", "The Great Sperm Race", "Forest Elephants: Rumble in the Jungle", "Surgery School", and "Elsa: The Lioness That Changed the World". In 2010, he provided the narration for a series about the Royal Navy flagship HMS Ark Royal,"25 Years of Wimbledon: You Cannot Be Serious", and "Fraud Squad." He has also provided the voice over for many TV and radio advertisements. He was hoping to star in a drama based on Richard III. 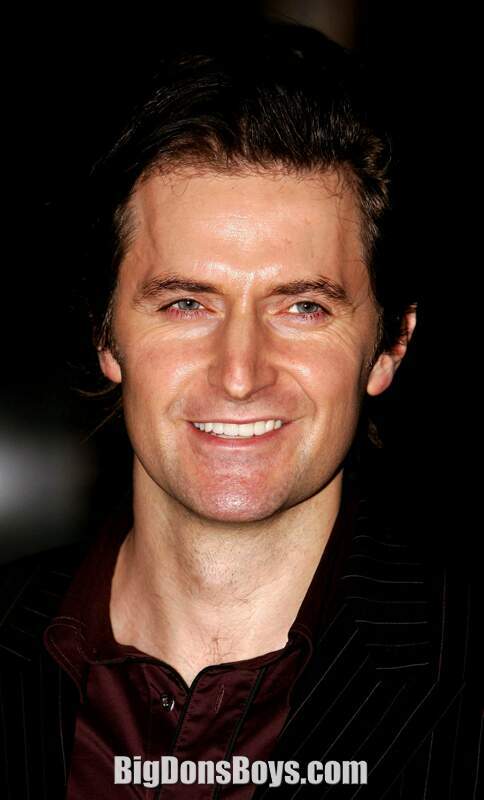 Armitage was born on the anniversary of the Battle of Bosworth Field, where Richard III was killed. "I believe it is a great story, a socio-political thriller, a love story and a dynastic tragedy", he said. He thinks the story has the potential to be told as a twenty-episode miniseries. A script has been in development since 2010 and "a lot of people... are interested in producing it], but there is no one that will step on the gas." 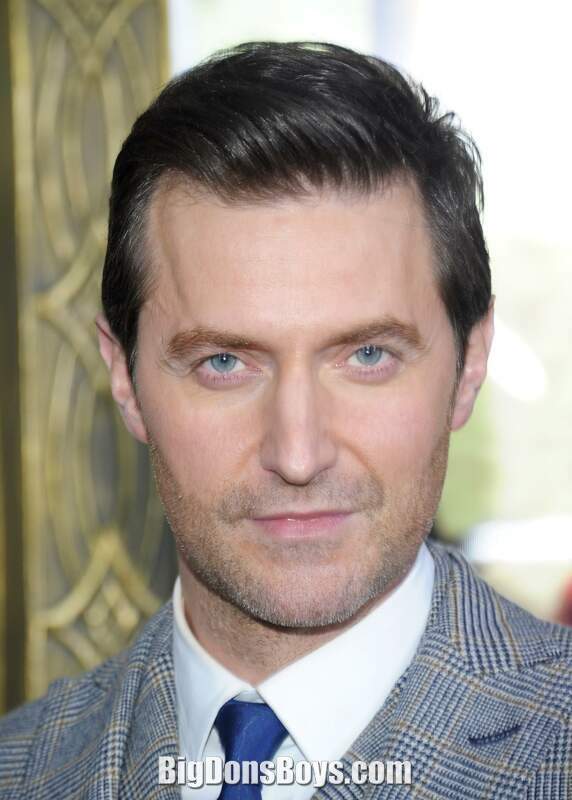 Recently Armitage stated that he is still interested in the project, though he has reservations that he might be too tall and too old to play Richard III. 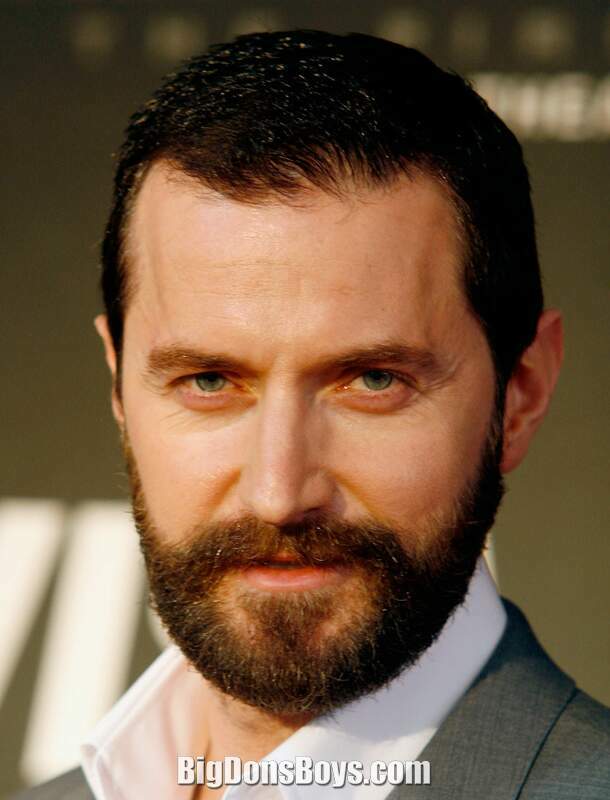 Armitage has described himself as a method actor. "Yeah, I suppose I am. In a way it's slightly lazy because it means you don't have to pretend – you just have to believe. As much as it's possible to be like that I suppose I kind of do step in and out, I'm not one of these people that can't talk to other people because I'm in my character, but I kind of do stay with the character, yeah. He's always there. It's like marinating something – you're sitting in a marinade the whole time." 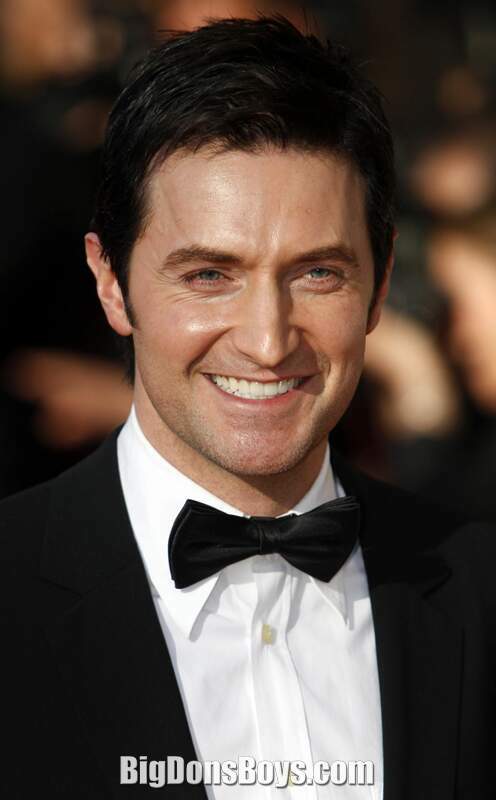 He has also spoken of dreaming in character while playing John Porter and Thorin Oakenshield. However, recently he rejected the label of "method actor". "I think I'm a concentrating actor. So in order to do my work in the course of a day, particularly with a character like this I have to concentrate. So it's about staying in the scene, staying with my head in the scene and attempting to keep the character with me. It doesn't mean I can't have a conversation or go and make a cup of coffee. But I actually stay with the character for 8 months." He frequently speaks of being drawn to and developing dualism in his characters. “If I’m offered the role of the hero, I immediately look for the antihero within!... I see everything in terms of an outer skin and an inner skin." He creates "character diaries" with entire biographies for the characters he plays. "It was important to me to put in a background for my character that would be useful for the whole journey. A lot of that is secret and no one gets to read that. It's what is useful to me. If you are playing something long running and a role that has a future (beyond the initial series), it's almost like you have to plant a garden which you will need to come back to at some point. If you don't put in early, it can jar with you." There is a lot of downtime on a set so actor Alan Ritchson and his pals find ways to clown around, work out or keep the energy up. They were working on the Spike TV show "Blue Mountain State" about a fictional university and its football team. The show ran for three seasons.